The GSV Elipse P3 Half Dust Mask/Respirator is one of our most advanced designs when it comes to dust masks and respirators. Ideal for those who want comfortable and well-fitted protective gear that both feels and looks good. A must have Latex and silicone free, lightweight TPE face piece. 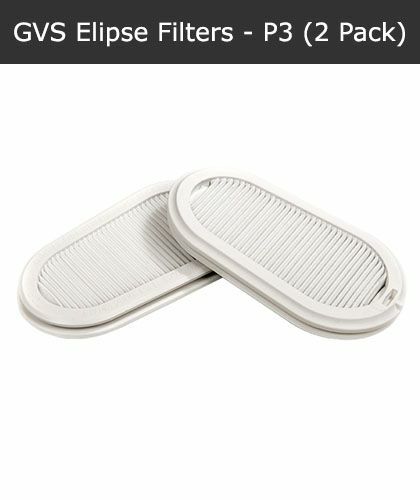 Replacement twin filters for the Elipse Dust Mask/Respirator P3 designed to protect against dust particles, asbestos, vapours, viruses, bacteria and other airborne hazards. This portable carry case for the Elipse Dust Mask P3 is ideal for storing and protecting the mask when not in use. 3M FT30 Face Fit Testing Kit for FFP1, FFP2 and FFP3 disposable filter respirators and half face respirators fitted with particulate or combined filters. 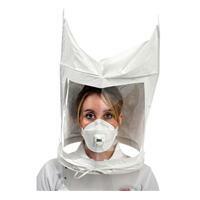 3M FT30 Qualitative Face Fit testing kit for use with RPE (Respiratory Protective Equipment). An essential piece of equipment to help demonstrate compliance with the COSHH Regulations for face fit testing. FFP3 Valved Respirator or Face Mask. Supplied in boxes of 5, these FFP3 respirators offer a high level of protection against toxic dusts and fine dusts particles, including asbestos fibres. The FFP3 Respirators are also suitable for providing protection against liquid particulates including oil based mists. For use in concentrations of particulates upto 10x Workplace Exposure Limit (WEL) when fitted to a 3M half mask or full face mask. Truly amazing prices for top quality products from SSD! Just £4.80! For use in concentrations of particulates upto 10x Workplace Exposure Limit (WEL) when fitted to a 3M half mask or full face mask. P3 grade particulate filters for use in concentrations of particulates upto 20x Workplace Exposure Limit (WEL) when fitted to a 3M half mask or up to 40x WEL when fitted to a 3M full face mask. 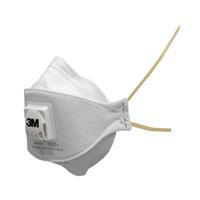 3M 6000 series half mask respirator/face mask - Class-leading respirator from 3M. 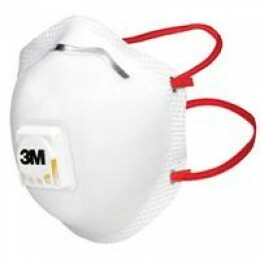 The 3M 6000 series half masks offer high levels of breathing protection, are reusable, and are designed for simplicity. Only £6.71! For use in concentrations of particulates upto 20x Workplace Exposure Limit (WEL) when fitted to a 3M half mask or up to 40x WEL when fitted to a 3M full face mask. Protection against organic vapours with BP>65c & good warning properties and particulates (water and oil based). Great value for money on this high quality 3M respirator, just £16.41! At a minuscule £19.31, order your class-leading 3M respirator today! Protection against organic vapours with BP>65c & good warning properties, and acid gases, plus particulates (water and oil based). Protection against organics with BP>65c & good warning properties and inorganic vapours, acid gases, ammonia and particulates (water and oil based). Superior quality 3M respirator for a tiny £21.23, from SSD! 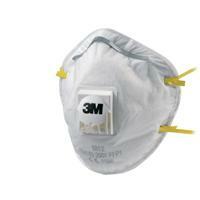 3M 6000 Series Class 1 Full Face Mask, 3M 6900 Full Face Respirator. 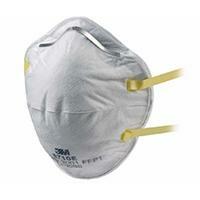 This full face piece reusable respirator offers lightweight comfort and ease of use. Combine with appropriate 3M Particulate Filters or Cartridges, to help provide respiratory protection against particulates and/or a variety of gases and vapours. Used to hold 3M Particulate Filters 5N11 and 5P71/07194(AAD) in place on top of 3M Respirators 5000 Series and 3M Cartridges 6000 Series and 3M Filter Adapter 603. Grab yourself a bargain for only £2.22! For use in concentrations of particulates upto 4x Workplace Exposure Limit (WEL) when fitted to a 3M half mask or full face mask. Our extensive range of respirators and filters are highly durable and amazing value. Just £25.52! For use in concentrations of particulates up to 10x Workplace Exposure Limit (WEL) when fitted to a 3M half mask or full face mask. Our filters and respirators are some of the leading PPE products on offer, this cartridge is only £36.86! For use in concentrations of particulates upto 20x Workplace Exposure Limit (WEL) when fitted to a 3M half mask or up to 40x WEL when fitted to a 3M full face mask. Incredibly low price of just £43.21! Amazingly low budget prices for top quality products from SSD. £6.61! For use in concentrations of organic vapours up to 10x Workplace Exposure Limit (WEL) or 1000 ppm whichever is the lower when fitted to a 3M half mask or up to 20x WEL or 1000 ppm whichever is the lower when fitted to a 3M full face mask. The 3M 6054 K1 Filters protect against ammonia and its derivatives. 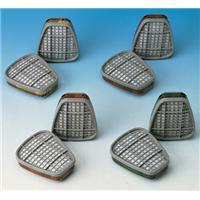 Filters are specially designed and shaped to give "swept-back" position to enable excellent field of vision and balance. A price-busting £7.54 from SSD! For only £8.06, get the best quality filters available for the best prices with SSD! For use with all 6000, 7000 and 7500 Series half masks and full face masks. Can be used in combination with the 3M 5000 Particulate Filters to provide combined particulate and vapour protection. The 3M 6057 ABE1 Filters protect against organic vapours, inorganic vapours and acid gases. Filters are specially designed and shaped to give "swept-back" position to enable excellent field of vision and balance. Order yours today for only £7.07! £8.53! 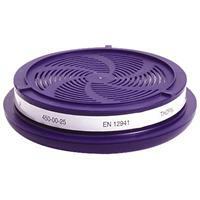 Massive discounts on an amazing and comprehensive range of respirators and filters. For use in concentrations of organic vapours, inorganic, acid gases and ammonia up to 10x Workplace Exposure Limit (WEL) or 1000 ppm whichever is the lower when fitted to a 3M half mask or up to 20x WEL or 1000 ppm. CE marked EN141/CE marked Used with half masks: 10xOEL or 1000ppm whichever is lower for Class 1 filters; 10xOEL or 5000ppm whichever is lower for Class 2 filters. Truly class-leading filter by 3M for only £32.62! 3M Gas & Vapour Cartridge 6098 AXP3 can be used where protection against low boiling point (<65C) organic compounds and particulates is required. This extremely durable filter is just £25.85, order yours today from SSD! 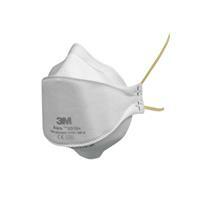 3M 6099 Filters for use with 3M Half Mask and full face respirators. For use in concentrations of organic vapours, inorganic, acid gases and ammonia up to 10x Workplace Exposure Limit (WEL) or 5000 ppm whichever is the lower when fitted to a 3M half mask or up to 20x WEL or 5000 ppm. A 3M Breakthrough in half mask comfort and fit. Silicone mask supplied without filters. Very pliable face seal for extra comfort and good face fit. Innovative exhalation valve to decrease breathing resistance. A staggeringly low price of just £18.92! Box of 10. 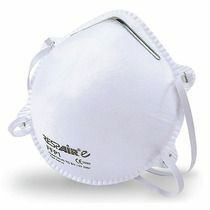 £15.24 for this top of the range respirator! Protects against fine respiratable dusts. Fitted with a 3M Cool Flow Valve. A cushioned lining, braided headbands and nose-clip offer extra comfort. Box of 10. Ultra-low price of just £20.54! Provides protection against fine dusts, water-based mists and oil based mists. Fitted with a 3M Cool Flow Valve. The noseclip is quick and ease of fit for wearers to mould around the nose offering greater comfort. Assigned Protection Factor = 10. Box of 20 for only £13.46! The 3M 8000 Respirator Series offers solid, professional protection at an affordable price. This range forms part of your basic equipment for many different work environments, providing respiratory protection against low levels of fine dusts and mists. Box of 10. A Super-low £12.13! Protection against fine respirable dusts with 3M Cool Flow valve for wearer comfort. Assigned Protection Factor = 4. Box of 10. This respirator provides protection against fine dusts, water-based mists and oil based mists.The convex shape and 3M Cool Flow Valve reduce heat build-up to offer comfortable protection particularly in hot and humid conditions. A fractional £17.49 from SSD! Order NOW! Box fo 5. Provides comfortable, effective respiratory protection against fine dusts, oil and water-based mists and metal fumes at only £20.09! The 3M Cool Flow Valve, 3M Advanced Electret Filter Media, soft sealing ring and adjustable buckle straps ensures top comfort. Box of 10. This Drager comes with protection class FFP1 which comes in a dark blue colour and means it protects against solid and liquid particles, however not against carcinogenic and radioactive materials, airborne biological substances from risk groups 2 and 3, and enzymes. The mask is lightweight, maintenance free. For a jaw-dropping price of just £30.13 for a box of 10! The 3M 8833 Respirator provides respiratory protection against higher levels of fine dusts, mists, and metal fumes. Box of 5. This valved respirator provides comfortable, effective respiratory protection against fine dusts, oil and water-based mists and metal fume. 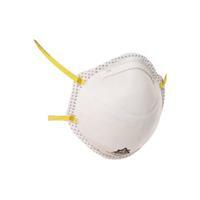 Top quality respirators from SSD for a tiny £27.32! Order yours TODAY for a minuscule £17.93 for a box of 20! Protection against fine respirable dusts. Individually packed, this fold flat respirator features a 3 panel design and soft cover web for greater comfort and good fit. Assigned Protection Factor = 4. Order these top-class respirators for only £43.17! Box of 10. Specially designed for welding applications, this respirator provides effective respiratory protection against oil and water based mists, fine dusts, metal fumes and ozone. A super-saving £31.06! Pack of 20. Individually packed flat fold respirator. 3-panel design and soft cover web for greater comfort and better fit. Assigned Protection Factor = 10. At SSD we offer only the BEST quality respirators and filters ensuring the utmost protection. Box of 10. Individually packed flat fold respirator. 3-panel design and soft cover web for greater comfort and good fit.Incorporates the 3M Cool Flow exhalation valve for even greater wearer comfort! Assigned Protection Factor = 20. We offer one of the most comprehensive ranges of respirators online. This 3M 9332+ is only £45.18! The Drager X-plore Chemical set is specifically designed to meet the particular protective requirements in Chemical Works.Drager X-plore 3300 half mask (size M)Two Filters A1B1E1K1 Hg-P3 Lightweight DesignSoft, non irritating half mask respirator material. The Drager Draeger X-plore Painter's Set Respirator half face mask, in combination with two A2 P3 breathing filters, offers respiratory protection against potentially hazardous gases, vapours and/or particles. The 3M FT10 Sweet Face Fit Testing Kit is a low cost, high quality option which requires no expensive training courses and instantly confirms whether or not the respirator is providing a satisfactory seal on the face. It provides an essential piece of equipment under the COSHH Regulations to help demonstrate compliance with the requirements for face fit testing. 3M FT32 - Bitter Solution Fit Test Solution. 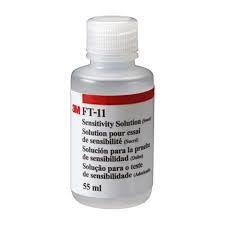 3M FT32 Fit Test Solution (Bitter) 55ml Bottle for use with the FT30 Face Fit testing kit and uses denatonium benzoate to produce a very bitter taste. Box of 10. Draeger X-Plore 1730V FFP3 - Fold Flat Valved Respirator. protection against fine dust, and solid and liquid particles which are found in construction, manufacturing, agricultural and service industries. 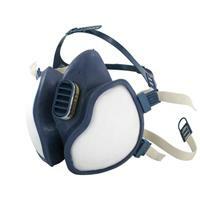 Top quality respirator for a great cost-effective price of only £30.32! Box of 20. This Drager comes with protection class FFP1 which comes in a dark blue colour and means it protects against solid and liquid particles, however not against carcinogenic and radioactive materials, airborne biological substances from risk groups 2 and 3, and enzymes. The mask is lightweight, maintenance free. Box of 5. 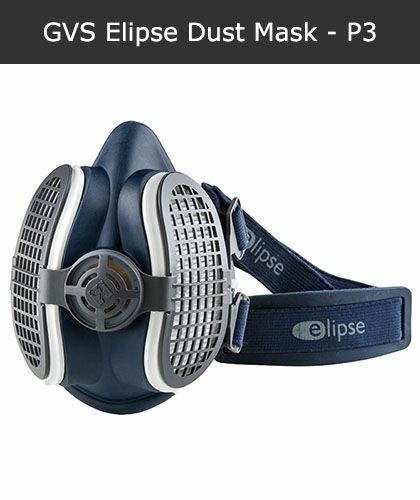 Amazing quality respirators for just £15.73! Respair C cupped mask. FFP3V: Protects against toxic dust, light radioactive dust, bacteria and viruses. Valved for easier exhalation. Box of 10. 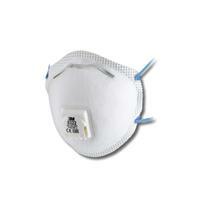 Conforms to EN149:2001 + A1:2009 FFP2 NR D. Preformed respirator offering comfort and secure fitting. Provides protection against fine dust, and solid and liquid particles which are found in construction, manufacturing, agricultural and service industries. CoolMAX exhalation valve offering easy breathing, comfort. APF 1. Box of 20. Protection against fine non-toxic dusts and fumes. Suitable for use with dusts generated from construction, brick and clay dust, sanding and agricultural uses such as with animal feeds, grain, hay and pollen.Assigned Protection Factor = 4. Box of 20. Durable and comfortable, this dual purpose mask is ideally suited to most industrial applications. The Ventex-valve reduces heat and moisture. FFP2 protection against toxic dusts, mists and fumes.Assigned Protection Factor = 10. Box of 10. Suitable for use as FFP2 (S) for protection against fine toxic dusts, fibres and aqueous mists., but with additional protection against oil based mists or aerosols present when cutting oils/lubricants in use. Exhalation valve lessens heat build-up. Box of 20. Protection against fine non-toxic dusts and fumes. Suitable for use with dusts generated from construction, brick and clay dust, sanding and agricultural uses such as with animal feeds, grain, hay and pollen. Individually packed within carton. Box of 10. Protection against fine toxic dusts, fibres and aqueous mists. Suitable for use as FFP1, plus aluminium oxide, zinc oxide dusts, cement dust, grinding, agricultural, mining and petrochemical industries.Assigned Protection Factor = 10. Box of 10. Single use respirator - Protects against solid liquid particles including oil based mists Applications:. Mining, Construction, Iron and Steel Industries, Welding and Moulding. Protects against Wood Dust, Aluminium. Gypsum, Graphite, Magnesium Oxide, Platinum, Coal, Lead, Chrome, Silica, Welding Fumes, and many other general hazards. Pack of 10. Protection against fine toxic dusts, fibres and aqueous mists with additional protection against oil based mists or aerosols present when cutting oils/lubricants in use. Suitable for use as FFP2, but with an exhalation valve for interior heat reduction. Pack of 20. Protection against fine toxic dusts, fibres and aqueous mists. Suitable for use as FFP1, plus aluminium oxide, zinc oxide dusts, cement dust, grinding, agricultural, mining and petrochemical industries. Individually packed within carton. Box of 10. Protection against very fine toxic dusts, fibres and aqueous mists. Protects against oil mists, welding fumes (not Nitrate gases) and microbiological hazards. For use in pharmaceutical, iron and steel and construction industries. Exhalation valve lessens mist and heat. Pack of 5. Protection against very fine toxic dusts, fibres and aqueous mists. Protects against oil mists, welding fumes (not Nitrate gases) and microbiological hazards. For use in pharmaceutical, iron and steel and construction industries. Exhalation valve lessens mist and heat. Respair P3V Fold Flat Valved Respirator FFP3. Protects against Wood Dust, Aluminium, Gypsum, Graphite, Magnesium Oxide, Platinium, Coal, Asbestos, Lead, Chrome, Silica, Welding Fumes, and many other general hazards. Box of 5. Respair EP3V Cupped Valved Economy Respirator FFP3. Protects against toxic dust light radioactive dust bacterias and viruses. Valved for easier exhalation. Box of 20. Respair economy respirator. FFP1V: Protects against large hazardous dust particles or light dust areas and fine non toxic dusts. Valved for easier exhalation. Box of 10. Respair economy respirator. FFP1: Protects against large hazardous dust particles or light dust areas and fine non toxic dusts. 4 x NPF. 4 x APF (BS4275). Uses: Woodworking construction agriculture and mining. Economy Mask: This cost-effective product range has been developed for use when economy is a main concern. Box of 10. Respair SP3V Slimline Valved Respirator FFP3. Protects against Soft Wood Dust, Aluminium, Gypsum, Graphite, Magnesium Oxide, Platinum, Coal and many other general hazards. Moulded in silicone offering a soft, comfortable facepiece ergonomically designed to provide a highly efficient fit. Accepts all Scott Pro2 particulate, gas and combined filters to provide respiratory protection in a wide variety of applications. Combines comfort, protection and low through life costs. Perfectly balanced, user friendly and modern in design, Latex and silicone-free to ensure no allergic skin reaction or irritation. Head harness and neck buckle support the mask comfortably. 061-00-86P Provides integrated head, eye, welding and respiratory protection. UK-sized aperture 108 x 82mm (31/2x41/2). Independent welding and clear-view visors allow grinding and respiratory protection with welding visor up. Integrated head protection. One of the best prices Online at just £227.90! 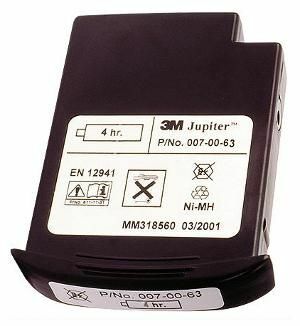 3M 4 hour battery for use with 3M Jupiter powered respiratory system. 5.2V NiMH rechargeable. Exceedingly good quality battery pack for only £109 from SSD, order yours NOW! For use with the 3M Jupiter powered air unit. 4 hour IS (Intrinsically Safe) NiMH battery and pouch. Nickel Metal Hydride batteries provide longer duration for less weight. N.B. A Jupiter powered air unit that has been used in a dust environment without an IS pouch fitted should never be used for IS applications. For use with the 3M Jupiter powered air unit. Long lasting, superior quality battery pack from 3M for a budget price of just £167.78! Supreme quality filter for only £49.40! The 3M A2B1E1K1P3 Jupiter filters are for use with all 22 of the different headtops within the powered respirator range. User friendly inner mask and high performance speech diaphragm. Moulded in soft comfortable silicone, it gives an excellent field of vision and the filters sweep back each side to give exceptional balance. Accepts all Scott Pro2 particulate, gas and combination filters. The 3M A2P Jupiter filters are for use with all 22 of the different headtops within the powered respirator range. Use with Organic gases and vapours with a boiling point above 65°C. The 3M ABE1P Jupiter filters are for use with all 22 of the different head-tops within the powered respirator range. Offering extremely high quality protection, our 3M filter is only £49.99! We stock huge range of top quality Respirators, Respiratory Protection & Dust Masks which are avilable to you at wholesale prices. Our range includes respirators from all the major brands including Moldex, 3M, Draeger, Scott, Respair and Sundstrom with both disposable respirators (dust masks) and reuseable respirators being available.